Kevin Ware injury: To show or not to show? 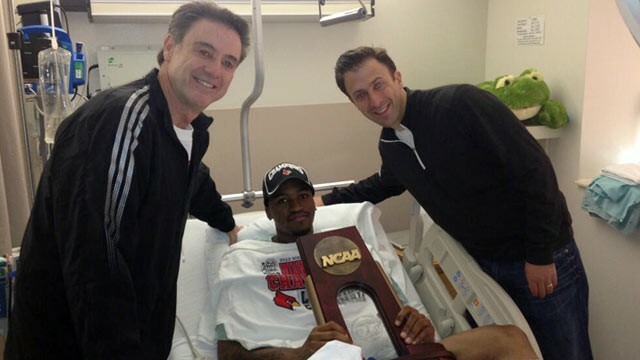 The above video is the gruesome leg injury Kevin Ware of Louisville suffered against Duke. Before watching it, I must warn that it is very graphic. Personally, I hate watching any type of stomach-churning injury. I’ve seen the Ware replay no more than twice. The last time I saw the cringe inducing hit on Willis McGahee‘s knee was more than eight years ago. Haven’t watched it since. But, does that singular opinion mean it shouldn’t be shown at all? CBS decided to pull the replay of Ware’s injury during the airing of the game. Similarly, the clip couldn’t be found on that night’s airing of Sports Center. I’m not complaining, but I think it is time that we as a culture decide what we are willing to have on television. There seems to be a severe disconnect between content we mind and don’t mind. It’s truly shocking that the Ware injury was censored so swiftly and without any real opposition. 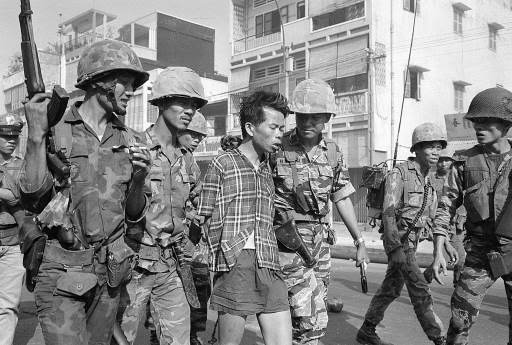 At the same time, the Saigon Execution has been shown on the History Channel for years. The first time I saw it, I was only 13-years-old. What is more disturbing: a compound fracture suffered during a basketball game or a nonchalant public murder? I don’t know about all of you, but the latter stays with me much much more. If we are willing to show that to any demographic on educational channels, then why are we so afraid to show a basketball injury? Yes, it’s certainly not pleasant to watch. But no more difficult to take in than a real life killing. Ultimately, we need to draw a line regarding the graphic content we will and will not release. There needs to be a clear consistency when it comes to censorship. No more tip-toeing around what might or might not upset the audience. If the media believe we are capable of maturely handling a real life murder, then they shouldn’t limit other controversial subject matter for the sake of viewer comfort.